The “Smart Mirror” market is expected to reach $1,220.3 million by 2022, growing at a CAGR of 14.4% during the forecast period 2016–2022, reports Infoholic Research LLP. Any highly functional mirror consisting various layers of different smart materials can be a Smart Mirror. The Augmented Reality (AR) based smart mirror concept is set to gain a considerable market share in multiple brick and mortar businesses. 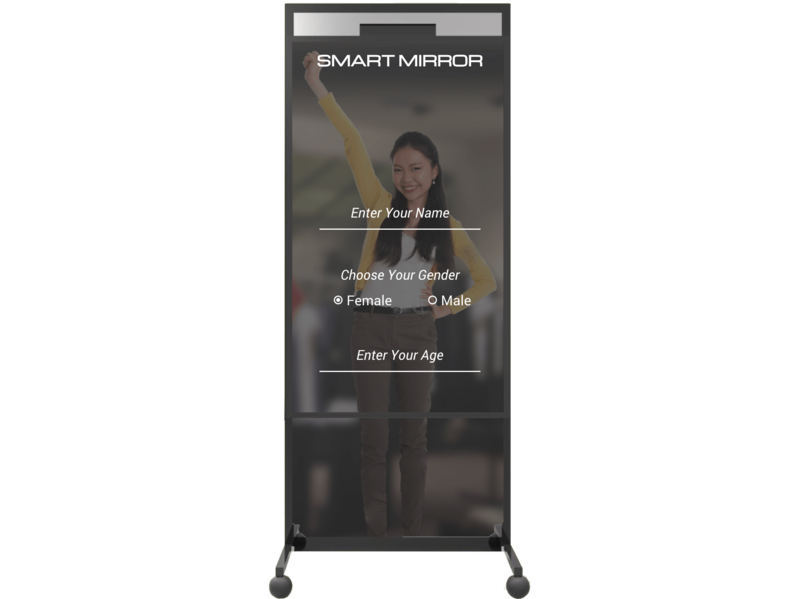 Smart Mirror is the newest advancement set to completely reinvent the retail experience. The sheer pain physical stores have experienced so far in terms of revenue generation has been massively due to popularity of E-commerce platform aka online shopping. Ever rising dominance of mobile app usage throughout the world has made it harder for storefront retailer to attract customers for over a decade now. As a consequence, storefront retailers have a genuine reason to look for latest innovations to regain the market share along with an eye to enhance in-store experience for their customers. Luckily, technologies like Internet of Things (IoT) and Augmented Reality (AR) have enormous potential to transform their fortunes with a solution described as Smart Mirror. How Smart Mirror will help Retail Business to Boost Customer Retention? The most amazing thing about IoT and AR based Smart Mirror technology is that it snaps a video of customer showing a mirror image using which customer can try on different products (clothes, jewellery, cosmetics, hair-do, etc.) virtually. This lets customers decide the best product suitable with virtual try-on technology. IoT technology helps in gathering information about the tastes of customers and purchase history, using which smart mirror system can make suggestions to provide enhanced and personalized customer experience. Given the dominance of E-commerce, technologies like AI-ML, AR-VR, IoT, BLE/ iBeacons app development, etc. are blessings to retail businesses using which they can adapt innovative solutions to improve in-store experiences to retain customers. Want to develop AR based Smart Mirror System for your Retail Business? According to a survey, 76% of customers who try products in a dressing room end up purchasing. It brings a great reason for retail clothing stores to implement smart mirrors that are capable of producing an image of what a customer might look like through virtual try-on along but with suggestions and a highly personalized and assisted experience. Augmented Reality(AR) software allows users to try different clothes in real time, as a sort of “try before you buy” option. The mirror will work as personalized product recommendation engine. A one-of-a-kind AR solution for keeping audiences of all ages entertained and engaged while simultaneously generating ROI. To control AI powered Smart Mirror, we at Let’s Nurture, provide IoT based applications which helps in updating the content that would be useful for the users visiting the store. If you wish to develop tailor made IoT based POC for AI powered Smart Mirror, the cost would be in region of $30000-$50000 + Admin Panel (Free), all inclusive. et us now have a look at the bifurcation of estimated cost along with basic features, followed by add on and innovative features. An artificial intelligence and machine learning enabled smile detection functionality that captures picture when person is smiling. Our AI-ML developers will put their best efforts to provide a flawless experience for users to implement this feature in AR based smart mirror. An emotion recognition feature that detects human emotions, such as sadness, anger, happiness and more. Based on human emotion, the video would be played based upon human emotions to cheer users. The smart mirror will collect user’s data on first visit. When user visits mirror again, mirror will greet user by name, based on the previous tastes, smart mirror makes suggestions to try on. How Let’s Nurture can help to develop AR based Smart Mirror System? Let’s Nurture is a top AR app development company having development centers in India, USA, UK, Canada, Australia, Singapore and Kuwait. With expertise of our in-house IoT developers, AR developers, Web developers and designers; we have provided IoT and AR based smart mirror solutions to the retail industry. Our expertise in Artificial intelligence, and the associated technologies of Natural Language Processing (NLP) and Machine Learning (ML), enables retailers to reach out to customers at a personal level, engage in deeper interactions and enhance their experience with the brand. From product design of smart mirror to in-store deployment, we provide end-to-end services. Leveraging our experience in catering global clients for over a decade, we provide flexible engagement models with flexible options to hire AR developers to build AR based smart mirror system. Own a retail business and looking for professional consultation to bring much needed innovation to enhance in-store experience with a solution like Smart Mirror? Would it be possible to integrate AR based Smart Mirror with PoS so that shoppers can purchase directly from the mirror? Yes. We can provide a QR code on the screen, where user could scan the QR code using their smartphone and they will be directed to the E-commerce portal to complete the purchase. How will the recommended products be displayed? Will it have an inbuilt recommendation engine? Yes. Based upon user activity, our system will give you the recommendation through our engine and respective products can be shown through Smart Mirror display. I need to confirm that you would be doing the programming part as I will need to send the visuals and the logo. Yes. our in-house web, mobile and IoT and AR programmers would be doing the programming part (the software modules) while the interactive content such as video, photo frames, logos, etc. would be provided by the retailer or digital agency. We will let you know the format of the interactive content. Do I have to purchase the software and hardware separately? Smart Mirror package comes with both hardware and software, all in one unit. Unfortunately we’re unable to provide you with software and hardware separately, as all our software modules are designed and developed based on our own hardware platform and may not suit your hardware settings. Since we have our in-house software team, we could also provide better remote support if there is any issue. What is the minimum network requirement? The minimum bandwidth requirement is 1Mbps, preferably without quota limit. And the network consumption is fully dependent on the usage, it will be approximately 2MB per photo sharing to social media. However, there might be an extra consumption during remote support session for software updates, technical support and etc. I have my own design team to design the assets. Do I still need to pay for every asset upload to AR based Smart Mirror? Your designers can design and upload all the assets through the control panel without any charges from digital Smart Mirror, but we do have services offered to create the designs on your behalf. What about the technical support in case of technical or relevant issues? We would support our client via phone, emails and remote connect to magic Mirror for remote support. When comes to faulty parts, we will send engineer on site to swap over the faulty parts and there will be an engineer callout charge. Is there a remote system in place where we can control ads, update photo frames, etc.? A web-based control panel would be provided where you could access to upload a new photo frame or replace new advertising video clips etc. What would be the warranty period for this Smart Mirror hardware? The warranty is on all the equipments stored inside the mirror cabinet. The warranty period would be of 6 months for the AR based Smart Mirror hardware. Is there any training required to become your reseller? No training is required for the resellers. The installation of Magic Mirror is very easy as it will be delivered pre-configured and ready to plug and play. If the Magic Mirror has any technical problem, our support personnel are able to provide maintenance by remote connect to the Magic Mirror. Have an !dea or need help to develop an AR based Smart Mirror System?